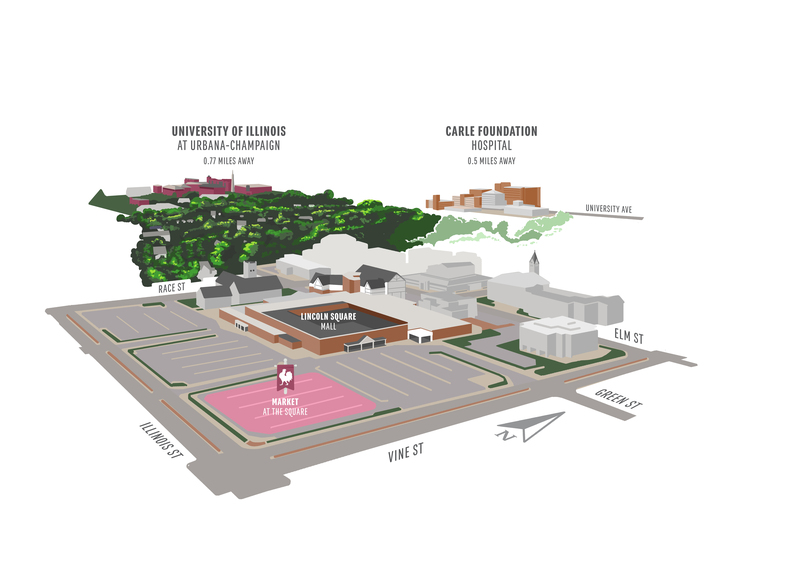 The 9-square block area in downtown Urbana known as Lincoln Square includes publicly-owned parking lots, the Lincoln Square Mall, and the Landmark Hotel, which is currently closed. Over the last year, we've asked you..."What's in your Square?" The survey, with all of the comprehensive data, was compiled, and YOU gave to us many ideas about what you would like to see in YOUR square. Please click on the PowerPoint included to see the comprehensive results of the study: WIYS_Business_and_Development_Luncheon.pdf. A very special thank you is due to all of the individuals and ground who are lending a hand in this public engagement process, including Pixo (design assistance), Protagonist Pizza (video production), David Michael Moore (image creation), and Illinois Business Consulting at the University of Illinois (survey development and case study research). To download the image, video and audio files, right-click on the link and choose Save target as.